It's not too late yet. If you haven't tried out the latest Thai-licious Menu @ Zuan Yuan Chinese Restaurant, One World Hotel, then head on over to their restaurant today itself. 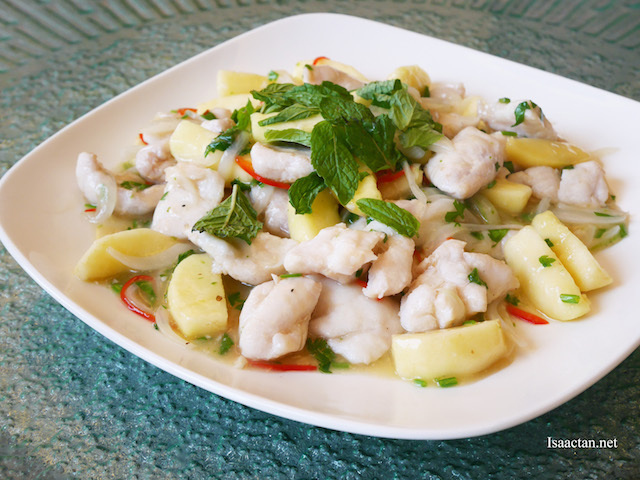 Throughout the month of August, the masterchefs have come up with Thai cuisine with a twist. Check out what I had the other day. 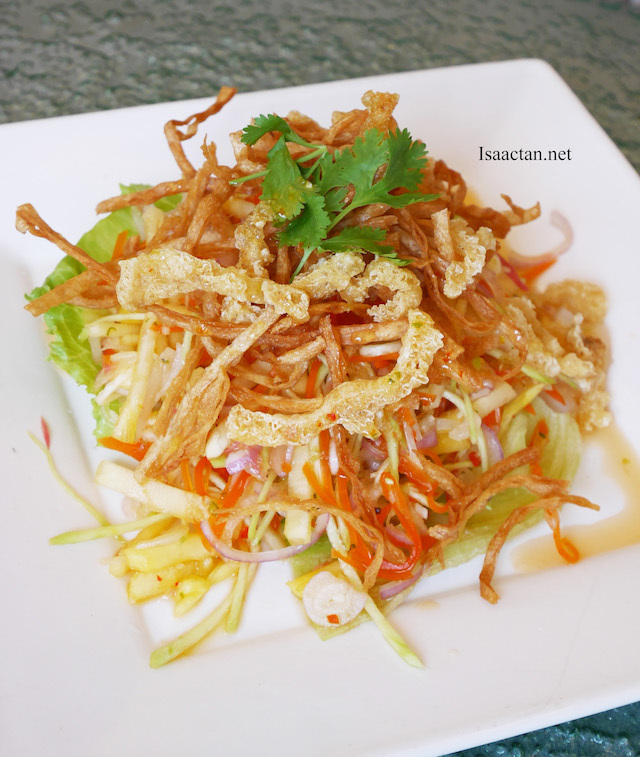 Shown in the first picture of this post is the Thai Mixed Salad which consist of Mango, Papaya, Leek and Fish Maw. Love how the chef actually fried the fish maw to give out a crispy crunchy texture to the sweet and sour salad. Another must try off their menu would be the Braised Seafood Tom Yum Goong, which is actually served with rice crispies on the side. 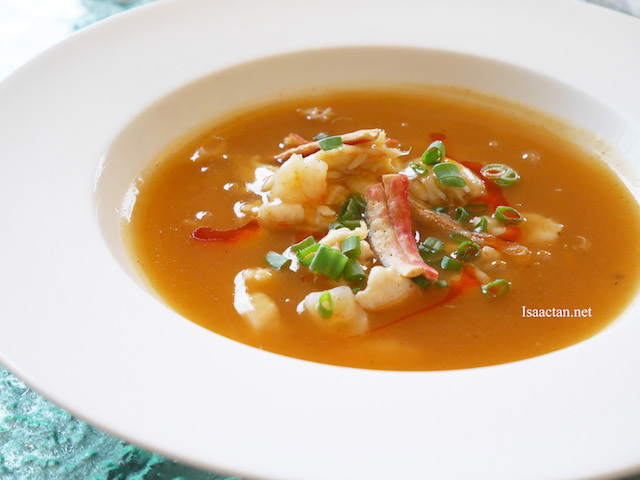 Chunks of seafood can be seen in the sourish spicy Thai soup which is refreshing indeed. Another yummy offering, the Wok Fried Garoupa Fillet with Mint Sauce "Pattaya" Style came in small bite sized fillets. Soft yet firm in texture, the apples and apple sauce used really brought out the flavour with each bite. Good stuff. It's a tad spicy too, from the chilis thrown in. 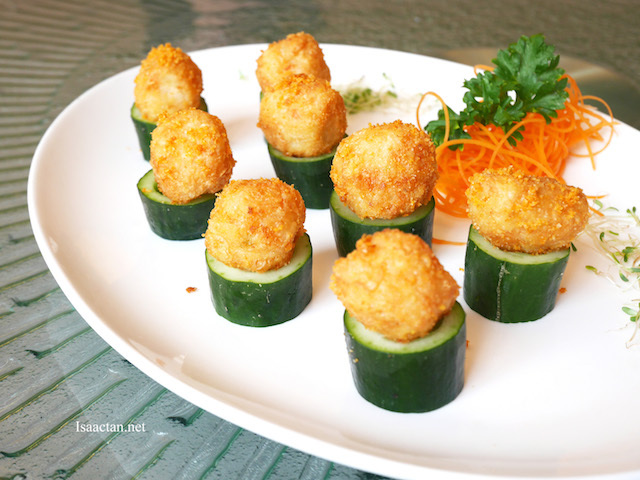 Served again in cute bite sized portions, the Deep Fried Bean Curd and Prawn Meat Ball were placed atop creatively cut out cucumbers, or probably its zucchinis. Nevertheless, I love how delicious it is when we popped these into the mouth. Yummy! 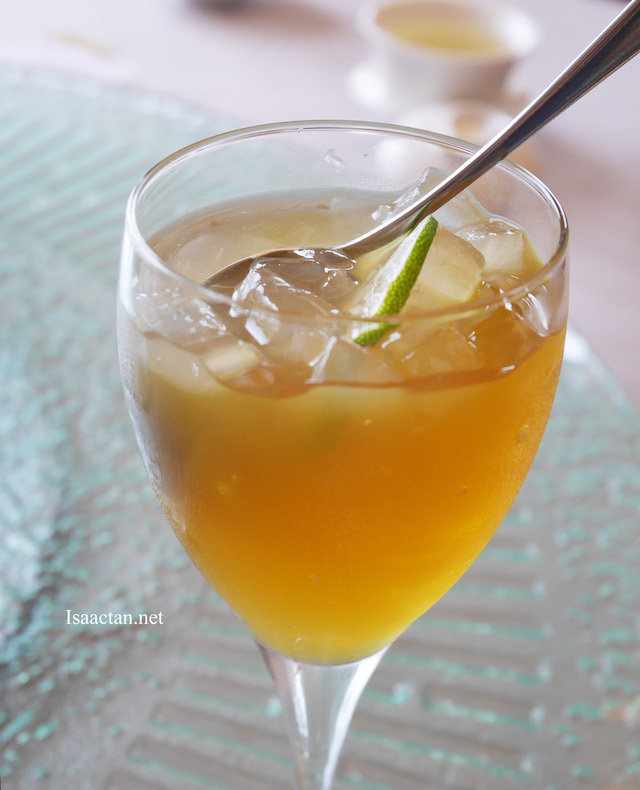 Chilled Lemongrass Jelly with Lime and Aloe Vera. Chicken cake? Not bad at all. 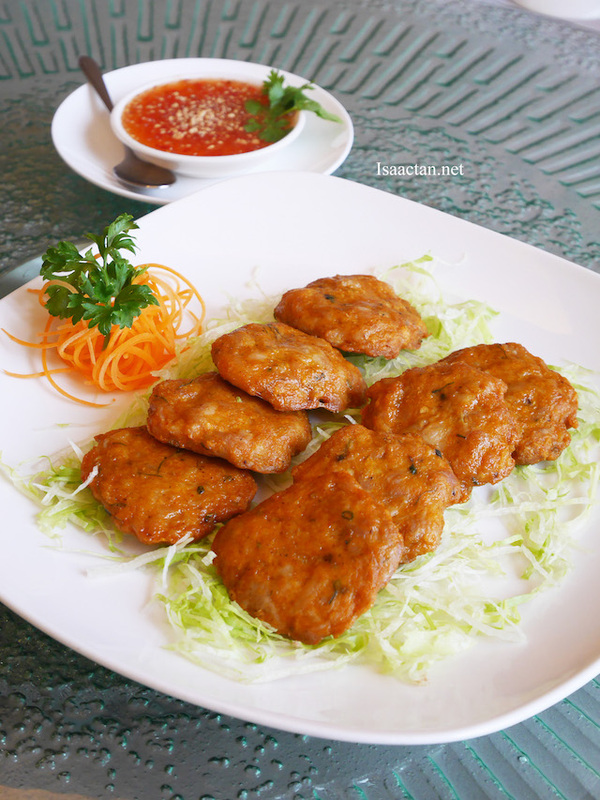 Zuan Yuan's Pan Fried Chicken Cake is done just nice, very tasty and served with Thai Chili Sauce on the side. All these goes well with our dessert, the Chilled Lemongrass Jelly with Lime and Aloe Vera. The Thai-licious promotion is priced from RM26 nett per portion and available for lunch and dinner. Do take note the promotion ends this 31st August 2016. For more information, do contact 03-76811159 or email over to zuanyuan@oneworldhotel.com.my . I love Thai! Chicken cake? I had fish that day, nice - bursting with flavours, all the herbs used!